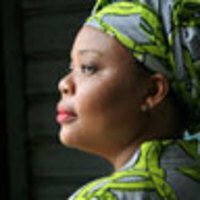 Nobel laureate Leymah Gbowee says it is time for Liberians to embrace the nation’s former child soldiers and help them move forward. As we Liberians wait, with the rest of the world, to find out if the United Nations Special Court in The Hague will find Charles Taylor guilty or innocent, my mind floods with questions. How does our former president feel sitting in that prison while a few individuals decide his fate? Does he feel any remorse for what he did? Is he sorry for how many suffered and died as a result of his actions? And here at home: what will we Liberians feel and do when the verdict comes in? Will we rejoice if Taylor is found guilty? Or will we continue to show the general lack of concern we have over the last few months of the trial? Most of all, though, I find myself thinking about the tens of thousands of young people who as children fought in Charles Taylor’s armies, and whose lives were shattered as a result. People like Joseph Kollie, Sam Brown, Magee, Red…. They were in their teens when I first met them, angry, confused and lost—children who’d been pushed onto a path they didn’t choose, when their parents lost or abandoned them during the fighting, or when the war overran their villages. Today, these damaged children have grown into damaged young people, who still struggle to make the transition from boy to man, from soldier to citizen. They have never been rehabilitated or reintegrated into civil society. They have no jobs or place in our world; their only means of survival is begging in front of supermarkets in Monrovia. Whatever happens today with Charles Taylor, our attention needs to be on them. It is time for ordinary Liberians, in the spirit of reconciliation, to move forward and embrace this group of lost and devastated young people. We need to tell them that we are here for them, that they too, are citizens of Liberia, and that we want and need them to be a part of our country. We need to ask them what contributions they see themselves making to Liberia, and to find a constructive way to include them in our national dialogue. Bringing these young ex-combatants home spiritually and physically matters to all of us. We need their help rebuilding our country. And we need to educate and empower them and their children, to lift them out of abject poverty, if the problems that originally led to war are not to resurface in the future in a new and terrible way. These young men and women are looking for closure and a way to move forward. We all are.